“Enantiodifferentiation through Frequency-Selective Pure-Shift 1H Nuclear Magnetic Resonance Spectroscopy” by Laura Castañar, Míriam Pérez-Trujillo, Pau Nolis, Eva Monteagudo, Albert Virgili and Teodor Parella. ChemPhysChem,15 (2014) 854-857. 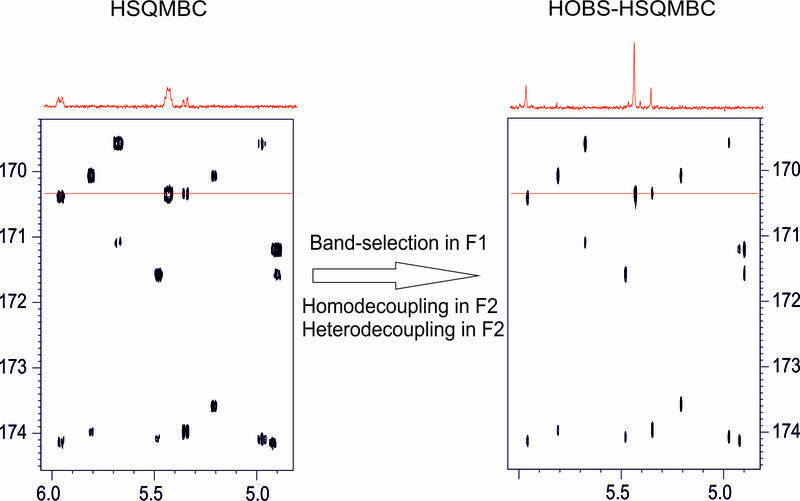 “Implementing homo- and heterodecoupling in region-selective HSQMBC experiments” by Laura Castañar, Josep Sauri, Pau Nolis, Albert Virgili and Teodor Parella. Journal of Magnetic Resonance 238 (2014) 63-69. A NMR method to enhance the sensitivity and resolution in band-selective long-range heteronuclear correlation spectra is proposed. The excellent in-phase nature of the selHSQMBC experiment allows that homonuclear and/or heteronuclear decoupling can be achieved in the detected dimension of a 2D multiple-bond correlation map, obtaining simplified cross-peaks without their characteristic fine J multiplet structure. The experimental result is a resolution improvement while the highest sensitivity is also achieved. Specifically, it is shown that the 1H-homodecoupled band-selective (HOBS) HSQMBC experiment represents a new way to measure heteronuclear coupling constants from the simplified in-phase doublets generated along the detected dimension. 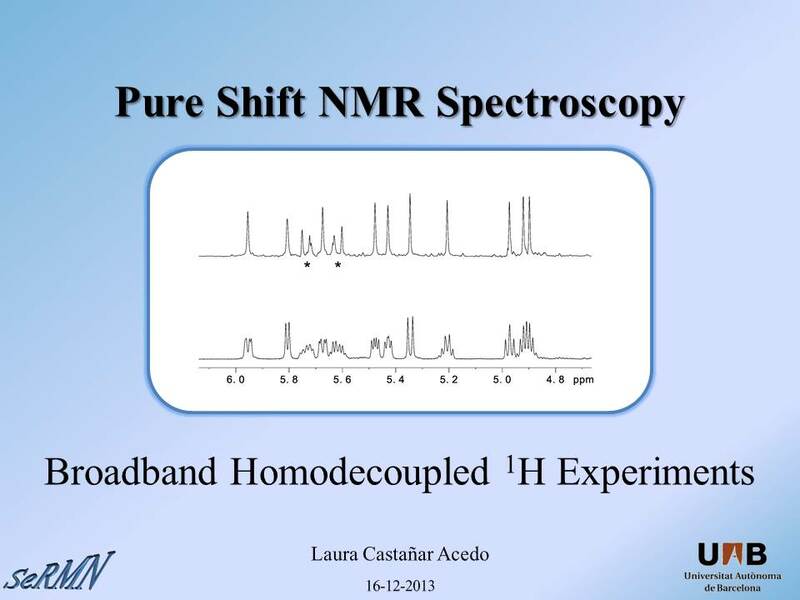 “Full sensitivity and enhanced resolution in homodecoupled band-selective NMR experiments” by Laura Castañar, Pau Nolis, Albert Virgili and Teodor Parella. Chem. Eur. J. 2013, 19, 17283-17286.